VS Ramachandran's Phantoms in the Brain was one of the best pop-science books I ever read, so I'm looking forward to getting stuck into this chunky summation of his work to date. He's an elegant and deeply humane writer, very much in the Oliver Sacks mode, and that's high praise as far as I'm concerned. Ramachandran's work on mirror boxes and phantom limb syndrome is fascinating; fans of House MD will remember the episode "The Tyrant" where House (after first drugging and kidnapping him) treats a cantankerous Canadian war-vet using the Ramachandran method. I'd had a glance at Daniel Levitin's book in a Boston bookstore last year, but for some reason hadn't bought it; I don't know why as this is exactly my kind of thing. Perhaps I was thinking about luggage allowance on my flight home. 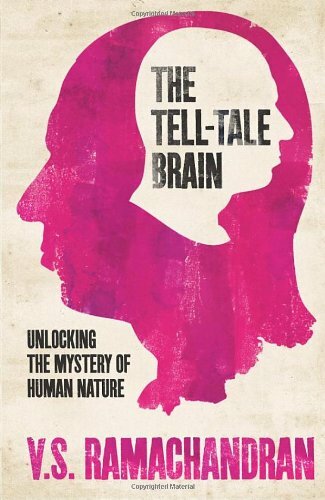 In the end I picked up a copy a few weeks ago in Cardiff, and it's very interesting stuff, both in the specifics of its theme - the science of music perception and appreciation, and as a handy primer on recent developments in neuroscience. 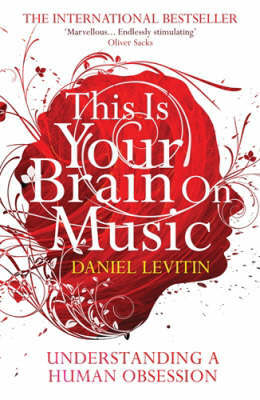 Levitin is a scientist, but he's also a muso - if you've ever wanted a book that hops cheerfully from Mozart to Metallica by way of MRI, this is the one for you. I've still some way to go, but last night I was struck by a section in the book where he talks at some length on the "ten thousand hour" thing. This is the notion, with which I was only glancingly familiar, that it takes about ten thousand hours to get good at anything - by which good is taken to mean "expert" or "world class". In the case of Mozart, for instance, there's no need to assume that there was anything exceptional or freakish about the young Amadeus - he was simply brought up in a household environment where the necessary ten thousand hours of tuition and practise could easily have been achieved at a relatively early age. Levitin stresses that the ten thousand hours applies to far more than just music. Well, no - that's obviously not going to happen. But then it occurred to me that I don't have to do ten thousand hours from now, since I've already been playing - or attempting to play - for more than fifteen years. That must knock quite a chunk off the target, surely? Well, sort of - but not very much. I've been kind of semi-serious with my guitar for the last two or three years, but if I'm going to be honest, I doubt that I spent more than two hours a week on it for most of the time before that. So that's - what - a hundred hours a year, for a decade or so? In other words, and allowing for my increased discipline in the last couple of years, I doubt that I've managed to shave more than two thousand hours off the target. So that's just another eight thousand to go, then. (Thanks to Jetse de Vries for alerting me to this). The other story I submitted on the same day as "The Lobby" will, I'm pleased to say, appear in Voices from the Past, an ebook anthology of flash fiction in support of the Great Ormond Street Children's Hospital.